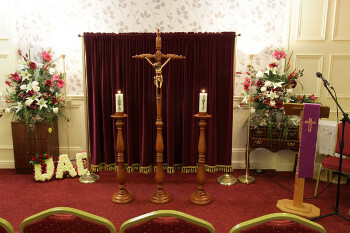 Welcome to Lakelands Funeral Home & Crematorium website, serving families in the Cavan Area since 1938. Lakelands Funeral Home and Crematorium is a family run business. The Funeral Business was established in 1938 by Declan’s late uncle Joe Finnegan who later entrusted it to Declan in 1988. Since then, Declan has continuously improved the business, adding an embalming service in 1993 when he became a qualified embalmer, purchasing the Funeral Home and adding a memorials business and more recently, the Crematorium. Organising the funeral can be a very stressful experience for all involved and there are many things to do and consider. At Lakelands Funeral Home & Crematorium, our aim is to assist you and your family during this difficult time. Declan Finnegan strives to maintain the highest level of professionalism and excellence at all times. He ensures that both the deceased and their loved ones receive all the care and respect that they deserve, in the hopes of easing the burden of their loss. We value our reputation for providing the highest quality funeral services, with personal attention and professionalism to help your family through this difficult time. The professional staff at Lakelands Funeral Home is committed to providing dignified, respectful and compassionate assistance to every family. Recognising that each family is unique, our staff provides personalised assistance to create a meaningful service that honours the life and memory of your loved one. At Lakelands Funeral home and Crematorium, our goal is to serve you and your family by providing you with the many options available, so that you can make an informed decision that best suits your family. Because we are a family business, the trust and compassion we show is built upon generations of experience and tradition.